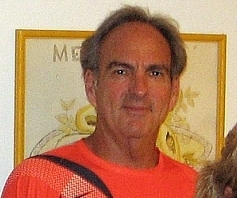 Keith Donoff, formerly of Centerville, Ohio, had captained six Midwest Intersectional teams starting in 2002 and played in over 10 events representing the USTA/Midwest Section. The four largest Sections in the country are competing in an inaugural National team ‘Cup’ event in Cincinnati named in honor of Mr Keith Donoff, formerly of Centerville, Ohio. Keith had captained six National intersectional Midwest Sectional teams starting in 2002 and played in over 10 intersectional events representing the Midwest Section. His involvement and promotion of adult competition brought the national spotlight to the Midwest Section. The USTA Midwest Section joins Florida, Southern and Texas to compete for the Donoff Cup at the Western Tennis and Fitness Club in Cincinnati, Ohio from 4 -6 Nov, 2011. The competition consists of a team round robin format with three singles and two doubles teams from each Section in the 55s, 60s and 65s age brackets. The tournament director for this event is Ms Angela Wilson, General Manager of the Western Tennis and Fitness Club and Women's head tennis coach at the University of Cincinnati.